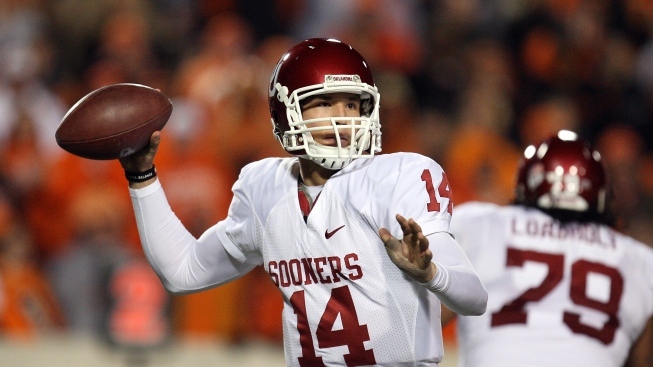 Sam Bradford is your 2008 Heisman Trophy winner. Since Wisconsin's Ron Dayne won the Heisman Trophy in 1999 the award has been dominated by quarterbacks. In seven of the last eight years a quarterback has taken home the prized trophy, with USC's Reggie Bush being the only non-quarterback to win the award in that time. While nobody could be sure who was going to win the trophy this season, they could all be sure that the winner would become the eighth quarterback to win in nine seasons as the three finalists are all quarterbacks. 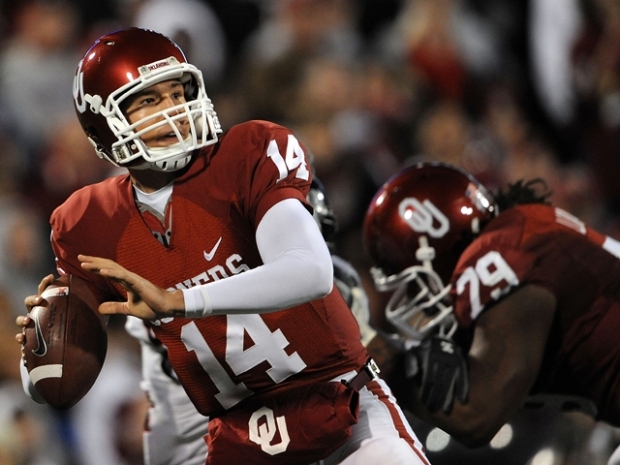 In one of the closer votes in Heisman history, Oklahoma's Sam Bradford edged out both Florida's Tim Tebow -- last year's recipient -- and Texas' Colt McCoy. In fact, Tebow actually received more first place votes (309-300) than Bradford did, but Sam appeared in second place on more ballots than Tebow did, and that turned out to be the deciding factor. While all three players had fantastic seasons, Bradford's number did stand out a bit from the other three, and that is probably what stuck out in the minds of a lot of the Heisman voters. Bradford finished the season for Oklahoma having thrown for 4,464 yards, 48 touchdowns, and only six interceptions while completing 68.8% of his throws. He was also instrumental in helping the Sooners score at least 60 points in five straight games, including a 42-point blowout of then undefeated Texas Tech which helped propel the Sooners into the BCS title game against the Florida Gators. Of course, Bradford winning also means that former Ohio State running back Archie Griffin will remain the only two-time winner of the award, though that may change next season. In a welcome turn from recent years where players who have been nominated often leave for the money of the NFL, all three finalists will be back in school next season. So next December don't be surprised if the same three guys are in New York hoping to hear their name called again.